The Angels and Archangels empower and enlighten God’s co-creations with the Divine Energy of Unconditional Love. They emanate this Love effortlessly through their Whole Being in a continuous stream of Blessed Energy, and shower it on all beings who wish to receive it. To receive these Angelic Blessings, all you have to do is ask. The Angels encourage us to re-connect with the Highest within ourselves, and in remembrance of ourselves as Spiritual beings; to allow our Inner Light to flow. Do not fear to just be; for it is in awakening to yourself as the powerful and creative Spiritual Being that you really are, that you can raise up in energy to heal yourself and the wider world. This is a timely message given the vast changes and challenges that we face at the moment. My Angel Art is guided by the Angels and carries the Angelic vibration of compassion, healing and Angelic protection. 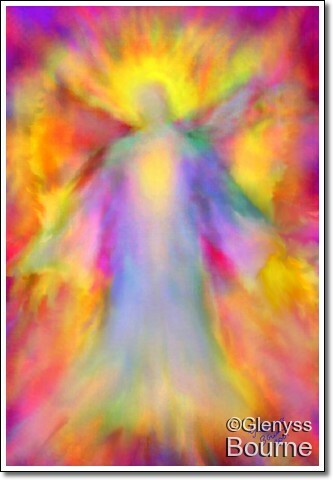 These Angelic guided paintings help to raise the vibration wherever they are places. 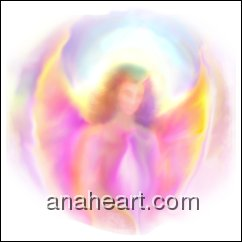 This entry was posted in Angel Message for Today and tagged Angel of Strength.angel wisdom.Angelic giudance, archangel paintings, compassion, inner peace.spiritual connection.spiritual wisdom, transformation, unconditional love. Bookmark the permalink.